Dr. Duze is great. I feel fortunate to have her. She explains well and makes sure I´ve got what I need. Dr. Duze is so kind and concerned about her patients. She is the best! She is wonderful, always concerned and such a great listener. Always asking, is there anything else I can do for you? I am going cry when and if Dr. Duze ever moves on. This is the best care I have ever received. Dr. Duze is an exceptional communicator and physician. 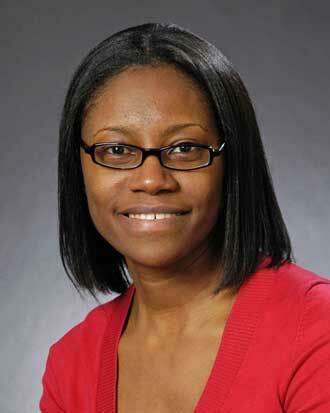 She is very thorough with her work and provides a comforting patient experience "every" time. Dr. Duze is a wonderful provider. Dr. Duze is the best! Dr. Duze is exceptional. She is warm and informative. She listens to my concerns and gives honest analysis. im very happy with her as my primary care physician. She is the caring doctor I have ever been to. She deserves a raise. Dr. Duze is then best PCP I have ever had. *Dr. Duze - outstanding MD. I felt very comfortable with *Dr. Duze and her assistant. Dr. Duze is absolutely wonderful, and I fully trust her with all of my health care concerns. Dr. Duze is great. So personable and competent. I would recommend her to anyone who needs a caring doctor! Dr. Duze is excellent. I greatly appreciate her! Dr. Duze. She listens, and responds in a wonderful easily understood manner. She hears what she is told, and when I leave her office I feel confident in the care and consideration that I have received. I could not be happier to have *Dr. Duze for my primary care. She is the best there is and I am honored to be her patient. *Dr. Duze is very thorough & very attentive. Dr Duze is the best physician I´ve ever had the pleasure of seeing. I love Dr Duze - she is the best physician I´ve had. Dr. Duze is an extremely skilled and compassionate physician who is concerned about her patient´s overall well-being. She takes the time to really understand the key factors in your life that are influencing your overall health. She is the best physician that I´ve ever had, and I have recommended her to multiple friends and colleagues. Dr. Duze is awesome, she doesn´t ever rush you and always makes you feel comfortable seeing her. An exemplary physician -- patient focussed, clear explanations, open to my thinking and at the same time gave good guidance and useful advice. Plus, I responded positively to her upbeat, optimistic personality! Duze is the best care provider I have ever had. she listens to all my concerns , and asks me what else I have on my mind. she knows about my life besides just the reason I care in for my visit. she is very considerate about my situation as well and how that affects my decisions. she is very knowledgeable as well and I am 100% confident in her abilities . the only downside is how popular she is, I cannot always book her when I have an immediate problem since I have to wait a long time for her availability . Dr Duze is an amazing and caring person. Dr. Duze ALWAYS spends the time needed with me. She makes sure to ask me if there is anything I want to discuss. She is thorough, not to mention super sweet! Dr. Duze - there are none better! She genuinely cares; never rushes; and provides superb care. She is the best doctor I have ever had and I have been going to her for nearly a decade now. Despite moving abroad, I still came home for treatment from her. She is THAT amazing! Dr. Duze was very personalable and easy to talk to!! Dr Duze has been my primary care physician for several years. She is kind and caring and provides helpful information. I am very happy she is my doctor. I think Dr Duze should train other doctors on how to be one. She is a compassionate, curious, caring and competant clinician.l finally have someone that I trust and know that together she and I can care for my health going forward. Dr. Duze is the absolute BEST! She is patient and kind and knows her patients. It is amazing. I wish there were more doctors like her. Dr Duze´s care of my mom is among of the best she´s ever had. She is engaged, thorough and compassionate. We are both deeply grateful to have her on Mom´s care team. Dr. Duze is awesome, really caring and I´m very comfortable w/ her care. Dr. Duze is the best dr hands down. she really cares about her patients. I have referred several people to her. Dr. Duze is an exceptional physician. She shows tremendous care to me as an individual and to my husband when he joined this appointment to be supportive. Dr. Duze is exemplary. She was focused, informative and educated me on the issue we were discussing. She made me feel like she had all the time I needed to address my concerns. Dr. Duze is AMAZING. She is fully present and made me feel like I had her attention for as long as I needed. I´m hesitant to trust docs who are new to me. but I´m now very comfortable with Dr Duze. I think we´re a good team. ole I stated in the previous message Dr Duze is the best primary care physician I´ve encountered since I was a child! Amazing!!! Dr Duze is PERFECTION, everyone needs her as their Doctor!!! I can´t say enough praise about Dr. Duze. She is a wonderful doctor!!! She is so good for me and to me. Dr. Duze is kind, professional and attentive to my needs and concerns. I have nothing but praise for you customer service and how much concern she always expresses for me and my family. Very personable, listens to my concerns; discussed options, encouraging & kind. She is the best doctor I have ever had, and I´ve had a lot of doctors! Dr. Duze is a goddess, an angle! I love her. I feel so good when I visit her, I wish I could visit her for fun! I want to shout from the rooftops "I LOVE DR. DUZE!" Dr. Duze is the best doctor i´ve ever had. Dr. Duze is the best GP I have ever had. She is warm, professional and puts me at ease. Dr. Duze made time to see me for an urgent medical matter on very short notice. She is highly competent and is perhaps the most pleasant doctor I have ever had. Dr Duze is an exceptional doctor and human. I refer her to everyone I know. Dr. Duze is the best family doctor I´ve ever had. Her experience, opinions, and bed side manner are extraordinary. I have had a number of primary care physicians at VM and Dr. Duze is the best. She is very thorough, caring, knowledgable and I trust and value her care. Always a great experience with Dr. Duze! she is so thorough and very compassionate. She listens to you and explain things to you so you can understand! You never feel rushed. Also enjoyed meeting Enoch. Four persons in my family have the same doctor. I like Dr. Duze a lot. She always seems like she´s got all the time in the world. I appreciate that she shares specific medical information with me - rather then sort "dumbing down" her comments. I like to understand what happening medically, and I like how smart she is. Dr. Duze is thorough! & super nice! No one ever makes you feel like they don´t have the time to give. They make you feel like you are their only concern. Amazing is the only word that I can use to describe Dr. Duze. #6 N/A Seeing Dr. Duze is like having coffee with an old friend. Except for the rectal exam part. But, the rest is a very enjoyable experience. #9&10 - would give 6 stars. Dr. Duze is the best PCP I´ve ever had. She is professional, caring - VM at it´s best! I LOVE Dr Duze!! The reason I rated poor on likelihood of recommending her to others is because I´m selfish. I don´t want things to change based on load where her current patients are concerned. Her manner towards her patients is incredible in that she makes you feel like you´re her only patient - even though we know that´s not true. Very caring, very thorough in explanations, quite thoughtful and empathetic. My experience was OUTSTANDING!!! I was very impressed by the amount of time the doctor spent with me, & the concern she showed about how issues in my personal life could be impacting my health. I have been going to Dr. Duze for years! As my primary care physician, she goes over and above what one would expect of their physician. She always makes one feel like they are the most important person in the world! Dr. Duze addresses my concerns and questions, make suggestions as to what I might want to consider moving forward, and really provides me with options so I am fully engaged in my care. I almost feel like I am "going to tea" with a close friend when I visit her. I would HIGHLY recommend Dr. Duze to everyone should they be lucky to be assigned her. I look forward to her care for many years to come! Dr. Duze is fantastic! I marked medication information lower because I needed help from a psychiatrist, and that´s not here specialty. Dr. Neal is helping. Dr. Duze is fantastic. I would definitely recommend her to others. Dr. Duze is a TOP Notch person!!!! I absolutely Love her! She takes time to examine me and explain things to me in laymans terms. Very personable!!!! Dr. Duze is phenomenal! 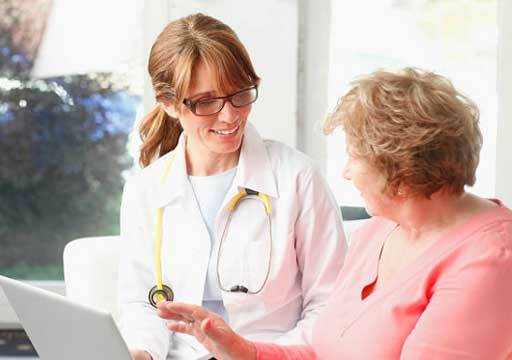 Always caring and takes time to discuss your health and and concerns you may have! An awesome doctor and very courteous, professional, caring, and friendly! So glad I found her as my primary care physician! Dr. Duze is wonderful. I am very happy to have her as my provider. She is so caring and explains what she is doing to put me at ease and keep me informed. I would most definitely recommend her. For years I have told friends and family what an excellent doctor I have, and how much I appreciate her care. For this particular appointment, a very emotional one, Dr. Duze went above and beyond her already excellent care and I continue to be grateful to have found such an amazing doctor. I am grateful for her! DR. DUZE IS THE BEST!!!!! I FEEL VERY FORTUNATE TO HAVE HER AS MY DOCTOR!!!! AND I MEAN THAT!! :0) She is honest, caring and very clear when explaining all health matters. I really appreciate her strong knowledge base, her experience and her professionalism. Dr Duze is the best! Dr. Duza is the BEST doctors I´ve ever had. I will not see anyone else. I love Dr. Duze´! She is always smiling and friendly. Her personality is why having my annual physical is not a chore. I look forward to seeing her each year. Cannot say enough good things about Dr. Duze. She is truly an amazing caregiver. I feel very fortunate to count her as my doctor and feel that she truly cares about my well-being and health. Virginia Mason is SOOOO lucky to have her- When she walks into the exam room - she is focused on you, the patient. She never seems rushed, but neither does she dally. She is interested, engaged, conversational, informative and she listens. A total winning combination in a physician. We are both busy people, so I always appreciate how effective she is in getting us through the process of healthcare. She is, quite simply, great at her job. I cannot speak highly enough of Dr. Duze. She is incredibly caring, intelligent, kind and compassionate. I trust her advice and know she always has my well being at heart. I am so incredibly fortunate to know this wonderful lady, and Virginia Mason is incredibly fortunate to have her on their team!!! Dr. Duze is the best. Dr. Duze is a world class doctor and is knowledgeable, kind, and she relates to patients. I fly home from living abroad just to receive care from her. I love love love Dr. Duze! I can´t imagine anyone else taking care of me! I recommend Dr. Duze to my co-workers and several now have her as their primary doctor. She´s fantastic! I have been seeing Dr. Duze for several years and absolutely love her. She is always incredibly friendly and shows great empathy. She takes the time to understand by problem and explains everything in detail to me. For my work injury she was incredibly helpful and makes things as convenient as possible for me during a difficult time. Dr Duze took the time to discuss a very difficult option. She took extra time to explain my various options in a wonderful and helpful way. I enjoy her professionalism and her commitment to patient care. She goes above and beyond. This was my first direct visit with Dr. Duze with regard to me; she is also my wife´s PCP. I was made to feel quite comfortable for an exam (prostate) that could have gone the other way. I really appreciate the degree to which the doctor did show attentive concern for me as an individual and NOT feeling rushed. Dr. Duze has been my PCP for several years. I have always been amazed that she exceeds my expectations every time! Dr. Duze is such a delight. She felt awful about being late and is always so cheerful and friendly. Being naked is not my fave, but she is always so concerned about me and puts me at ease. Dare I say I enjoy going to see the doctor? Excellent Dr. to work with, really listens to you and seems to care. Dr. Duze was very thorough. She took the time to explain all the details to me, even the minor ones. She treated me very well and showed concern of what i´ve been up to since my last visit. She is very friendly, professional and knowledgeable and would recommend her to anyone. Seems sincerely concerned about symptoms I was having. Spent over 45 min with me, making sure she had covered all of my concerns. Extremely friendly and personable. Very good communicator. Did a wonderful job of putting me at ease. She is so warm and friendly. She always makes me feel comfortable and asks great questions and makes sure I understand why and how medications may or may not be working. She is my favorite provider. Dr. Duze is responsive and compassionate. Dr. Duze is fantastic. She explains things so clearly, wants to make sure I understand, listens completely, and is so caring and concerned. I´m 43 and Dr. Duze is easily the best doctor I´ve ever had. So charismatic and personable...and is the only doctor who has ever asked me if I wanted to know anything about HER. Dr. Duze always takes adequate time to answer any concerns I may have. My blood assay showed low vitamin D, and she emailed me that I had a prescription in the works, and instructions for a follow up. Duze is one of the best doctors I have ever had. She is irreplaceable. Great physician with superb bedside manners. Kind and caring person. Dr. Duz is a wonderful provider who shows care and compassion in her visits. I appreciated her attention to my issues and process for getting them resolved. She even addressed concerns she noticed and worked with me to determine how to move forward. Dr Duze is an outstanding internist. We (my sister, my family, and I) trust her judgment completely. We tolerant the negative aspects of the VM system--terrible parking, awkward campus design, slow elevators, annoying phone system, and repetitive questioning of DOB--because we value appreciate the medical care she delivers to my sister. Dr Duze is the ultimate care provider! She honestly cares and listens to any issues that you have. She is a very good diagnostician as well! Love her!!! Dr. Duze is Excellent!!! I greatly appreciate her knowledge and care. Dr. Duze rocks! She knows and respects me as a person; she pays close attention to my conditions and provides options for medical treatments, prescriptions, etc. I feel great with a provider who listens, quickly diagnoses the problem / condition, and together with me, we decide upon a course for treatment. She´s my favorite PCP, ever! I recommend Dr Duze to everyone. She is amazing. I LOVE Dr. Duze - she is very patient and considerate when explaining things that may not be so pleasant to hear and/or receive. I have found her to be thorough in her questions making sure that I get the most out of my appointment. Even though I KNOW I´m not her only patient, I appreciate the fact that she is able to make me feel that way when I meet with her. I really enjoy my visits w/Dr. Duze. SHe takes the time to make you feel welcome & is very sincere with your health issues. She is very pleasant & easy to talk too. She is an amazing dr.
Dr. Duze is extremely responsive to my care and concerns. I feel I have her complete attention and she is never dismissive of my concerns. Care provider is under pressure to provide thorough service under extremely tight scheduling limits. Dr. Duze performs admirably under these constraints. Dr. Duze is the best primary care doctor I have ever had. I have referred my friends to her and they have the same feeling about her. She always shows concern about what is going on with me and interest in my life and health. I would and do recommend her to anyone I know. Dr. Duze is amazing. Thank you for the friendliness and just being a good person. She speaks to you like she is your friend and does not judge. She has a great sense of humor and really listens to your concerns. Dr. Duze really listens and always asks me "anything else?" more than once which makes sure that I never leave going "oh yeah, I forgot to ask her about this pain or that thing, etc.". She is very thorough and really listens. she also asks for my opinion and makes sure I understand what she is talking about or recommending. I have to say, she is the best primary care physician I have ever had and I´ve had quite a few. Dr. Duze sorted through possible sources of shoulder pain very professionally. I left feeling confident that PT was right approach. Dr Duze is the best doctor I have ever have in my 50 years of life. Dr. Duze is amazing and is always so great at answering and thinking of solutions to my health issues. She listens carefully and thinks quickly and makes sure she address all of my concerns. I love Dr. Duze. She cares about her patients and is simply amazing. I travel a longer distance just to see her and recommend her highly to anyone needing a doctor. She is an example of what a doctor ought to be and is the only reason I stay with Virginia Mason. Dr Duze is wonderful and really takes the time needed to get to know me and my health needs. Dr. Duze is a very good doctor, I will recommend all my families to see this doctor. I actually raved about Dr. Duze when I returned to work after my visit. Her manner, friendliness, helpfulness and concern were all above my expectations. This has been my experience with every visit I´ve had with her. What a tremendous asset she is to your organization! I had no advanced appointment so all of the treatment was on the Dr.´s free time. Doctor Duse is the personification of all that a caregiver could aspire to be. She truly listens. She asks questions. She has compassion and firmness in her guidance expressing a patients need to follow her advise. I love my PCP. Dr. Duze is an amazing doctor. She takes her time, makes me feel valued as a patient, listens, and understands that I can be worrisome at times and puts my mind at ease. She validates my fears and walks me through what my ails could be/are without making me feel silly or stupid. I recommend her to everyone who´s looking for a PCP and feel lucky that I get to see her on my visits. Dr. Duze is wonderful!! Best dr. I can ever remember having. 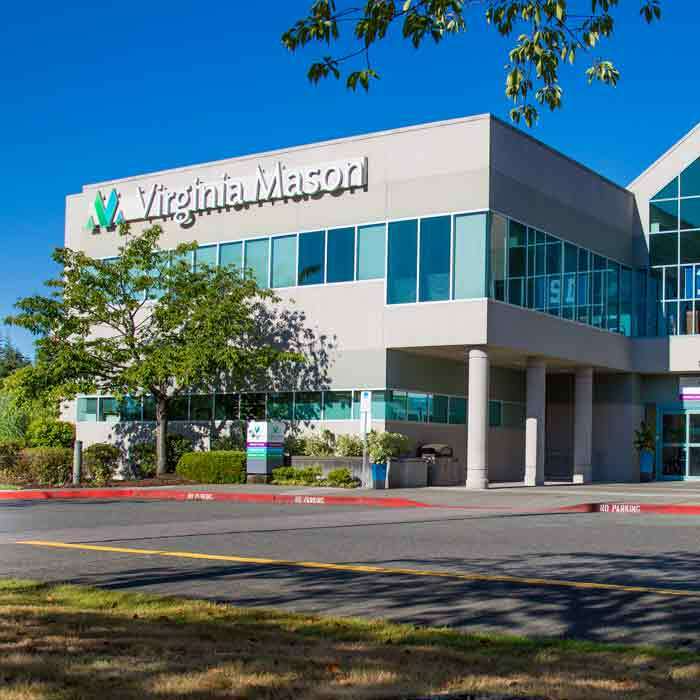 For the last 25 years that I have been coming to Virginia Mason, this provider is the best. She is very caring, listens to my concerns and very supportive. I want to commend her for doing an excellent job. Dr Duze really took her time to ask questions, listen, and make sure I had every opportunity to bring up additional concerns. She is so kind and empathetic. I would absolutely recommend her to anyone. See previous comments about what an amazing person and physician Dr. Duze´ is. I feel very fortunate to have Dr. Duze as my primary care provider. She has a warm and caring manner and is very professional. I highly recommend Dr. Duze. She has been my care provider for several years. I feel she is genuinely concerned about me and my health. I look forward to many more years with her! Dr. Duze is probably one of the best doctors I have ever had the experience of working with. Not only is she kind, but very knowledgeable! Dr. Duze is the best doctor I have ever met. She cares sincerely and takes time to listen to me. I have been with Dr. Duze for a while and never once had a bad feelings leaving the room. 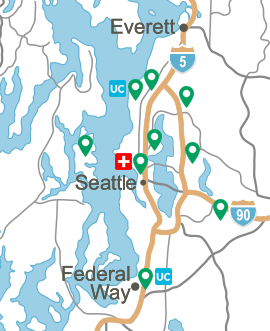 Dr. Duze is excellent, even when I worked in Tacoma for a period of time and the distance was far, I remained a patient rather than get another doctor closer. Dr. Duzu is very easy to talk with. She listens well. Is an excellent physician. I feel comfortable with her. I have recommended Dr. Duze to family and friends!!! I have never exoerienced a more genuine and passionate advocate for my health. Dr. Duze is a true gift to the medical field. Thank you! Dr. Duze is an amazing physician!! Dr. Duze is a wonderful Doctor! 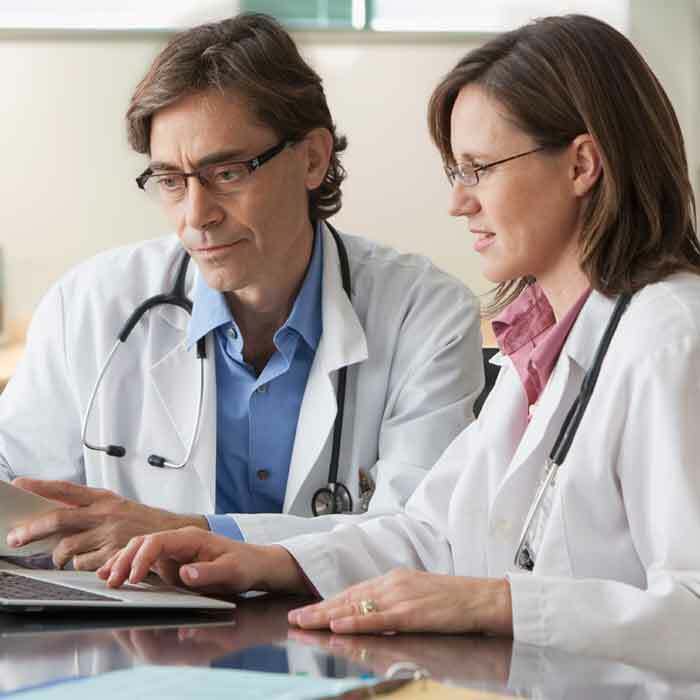 This provider is such a wonderful fusion of great communication, approachability, intellect, medical care, and planning. It is always a very enjoyable communicative experience. I would recommend this provider without question. Dr Duze always takes time to explain everything. This can be difficult at times cause I work in healthcare so I ask lots of questions. I am not big on physical contact but as long as Dr Duze has been my doctor she always greets me with a hug and that makes me feel really safe. I feel like she really cares. You can´t find a better and more caring provider than Dr. Duze. She is tops in our book! The best experience I have had with a doctor in years. Already recommended her to a couple of friends even though I am not sure she is accepting new patients. Dr. Duze is a wonderful physician. Will continue to see her yearly. I LOVE Dr. Duze. I have been coming to her many years and I continue to come to her as my primary physician even though I live 3 hours away! That alone should tell you how much respect and appreciation I have for her. I have seen other doctors at Virginia Mason and she is by far, one of the most collaborative and respectful doctors I have had there. The key is she is a doctor that will work WITH you, always honoring your health choices. My health has improved in the last few years and she is part of my health team that makes that possible. As someone who was raised out and in the US, it was important for me to have a Doctor that understood other environments and global practices. When I talk to her about my vaccination records, for instance, she understands that at the place where I may have received a certain vaccine, that may have been the protocol instead of argue with me that I´m incorrect because that was not the protocol at that time. Just because it was not the practice in the US it does not mean that it was not a practice somewhere else. It is among the most frustrating discussions I have with doctors -in all honesty, just a minority of doctors at Virginia Mason engage in that - but I have never had that problem with Dr. Duze. I also appreciate her kind and compassionate spirit, open-mindedness and knowledge. And she doesn´t let her ego get in the way of her patient´s health. 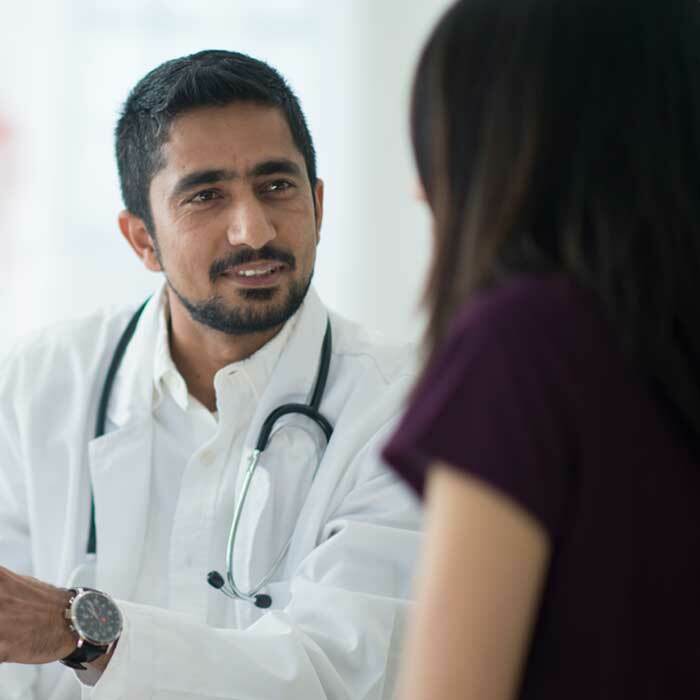 If a patient wants to try a complimentary or alternative health practice, she is very open to discussing it and help the patient figure out how that fits into an overall health plan for them. Tough conversations still happen. Facts are still disclosed. But overall, her approach is respectful of the individual she is treating. I really do get the sense that she honors my expertise as being the person that gets to live with myself and my body, and I honor her expertise in research and medical knowledge. Together, we make a great team. Dr. Duze provided excellent care! Dr Duze is far better than "very good" in the care she provides!!! She listened well and answered with good advice. I absolutely adore Dr. Duze! I recommend her (and VM) often to friends often. The visits never feel rushed and I always feel listened to during my visits. I have respected Dr. Duze from my first appointment with her and have confidence in her abilities to provide care for my health concerns. dr.duze made me feel instantly comfortable and was extremely kind, caring and helpful with my pain. I adore Dr. Duze. There has been turnover in the IM department-especially with my husband´s providers. I am thankful that Dr. Duze has been there for continuity of care for me. I have recommended that my husband also see her as his PCP. Love Dr. Duze, she is caring and very understanding of my situation. Nicest Dr in the State! Very confident in her. I feel very lucky to have Dr. Duze as my primary care physician. She feels like a member of my family. Dr. Duze is an excellent doctor-she makes me feel like I´m her only patient. I feel that Dr. Duze is very thorough, really listens and addresses my concerns. She does not leave any rock unturned and really delves into discussing issues and concerns with me. I feel safe talking to her about my health concerns and comfortable that we are taking the right actions to address. I have white coat syndrome & every doctors appointment but with Dr. Duze I get a sense of calm immediately. She is knowledgeable and caring and professional and warm. Love her! Dr. Duze is the best doctor that I ever had. She is caring friendly, professional, and understands my problems both physical & personal. I will never leave her. I thought Dr. Duze was exceptional. She was very friendly, thoughtful, engaging, competent. Thoroughly professional. Outstanding care provider genuinely cares and offers sound advice. Professional and personable! Dr. Duze is an outstanding personal care physician. Very informative and open to alternative discussions. Dr. Duze is approachable, good listener, and cares deeply. It shows in her demeanor and how engaged she is...she leans in to speak to me, listens before addressing problems and is kind and warm hearted in her approach. I am lucky to have found her and find I can let down my guard to talk about what is most troubling to me. I love Dr. Duze. She is compassionate & sincere with her care.